Chorzów has great chances for organizing at least one match, and Cracow will be the hotel-tourist back – we managed to confirm such information in a few sources on Wednesday. Meanwhile less than the month ago seemed, that already everything was wasted. From it, what until now we thought, is our advantage i.e. the modernization of the stadium lasting for fourteen years, experts from UEFA made one of main accusations and they poked out the lack of progress in this matter. They also among others criticized us for the low amount of toilets and lack of permanent eating places. They suggested that hosts of the stadium weren’t able to coordinate modernization works and they advised renting the professional company which would do it. After such an assessment it seemed that the Silesian Stadium didn’t have chances in the competition with four designed objects in the capital city, Gdańsk, Poznań and Wrocław. However it didn’t pass even a week when a different team of experts examined the infrastructure. As it turned out Chorzów together with adjacent cities are good in this matter. Our hospitals with Piekary Śląskie injury hospital, the Regional emergency ambulance service and roads (although we complain it) overbalanced to our advantage. UEFA turned a blind eye even to the modest hotel base. Result from our information is that experts of the federation suggested that supporters could use hotels in Cracow. The turning point came also in the matter of the project of roofing over the Silesian Stadium. It is already a well-known fact, which company will deal with it. Out of three which had the willingness to it German GMP Architekten from Aachen was chosen. Our informer claims, this company won because perfectly fulfill UEFA requirements. GMP Architekten is a gigantic design office with over 40 year of tradition. From here were e.g. a plan of the new Central Station in Berlin (Lehrter Bahnhof) with 200 meter glass roof covering platforms, as well as of the Chinese National Museum by the Heavenly Peace square in the Beijing. Architects have also experience at the modernization of the stadium in Berlin what can be useful to them in Chorzów. In the capital city of Germany they converted the Olympic Stadium from Nazi times from 1936. In specialists opinion they did it well: they kept the concrete-stone Coliseum but they added to it roof stretched on the light steel structure. Architects designed also big sports facilities in Europe, China and the Republic of South Africa. In Poland they won closed contest on project of the National Stadium for Warsaw which is supposed to be a main arena of Euro 2012. However there were controversies. German architects were accused that in Warsaw they had copied their more previous project of the Greenpoint stadium in the Republic of South Africa. They assure that only geometry of the roof is similar and structure and materials will be completely different. What will happen with the plan? In the nearest days the auditorium company will check whether really it fulfills all international criteria. The agreement with the executor is supposed to be signed on 25 April. From that day the GMP Company will have seven months for the preparation of detailed building and performing project. It is however not an end of the good news, because authorities of region with the new marshal Bogusław Śmigielski started catching up. For example Office Euro 2012 will be established and the marshal will rent one of auditorium renowned companies for advising at the alteration Silesian and during preparations for championships. On Wednesday in Katowice Marcin Herra, the director of the PL2012 Company which is dealing with preparations to the football European championships in Poland met the marshal. Officially about chances of Chorzów in organizing at least one match he didn’t want to give his opinion. He only stated that all were working hard in order to have the stadium which will fulfill UEFA requirements in 2012 . He also added that up to the end of April UEFA again would judge stadiums, and up to the end of the May – infrastructure in their surroundings. Unofficially found out that during the meeting with the Herra, the marshal insisted that aspiring for organizing championships cities should stop competing with themselves. It should not be trouble with it , because our self government for ages are emphasizing that they have nothing against the cooperation with Cracow. 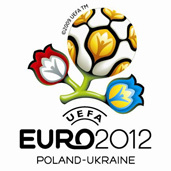 EURO 2012 – more action, less declaration.